Rotana Cheng is a Clinical Myotherapy graduate from the Southern School of Natural Therapy. He is currently in Phnom Penh, Cambodia creating volunteer programs for myotherapists and other health practitioners to provide their skills and expertise to the most disadvantaged groups as well as create ongoing access to physical health services. Rotana was born in Australia after his parents fled the Cambodian Genocide of the late 1970’s. After speaking with the CEO, he was put in contact with the International Program Coordinator who wanted to explore the idea of providing myotherapy programs in the Philippines. He was offered the opportunity to travel to the Philippines and Cambodia to inspect the Sustainable Teaching and Training Programs operating in each country. To create opportunities for international health practitioners to share their knowledge and skills and to use that knowledge to provide services to marginalised and disadvantaged groups. Khmer therapists participate in mobile treatment clinics offering complementary physical health services to the most disadvantaged groups in the poorest areas of Phnom Penh. Many of these people are unable to travel to or afford physical health services. Provide permanent positions for full-time therapists and trainers to provide both complementary physical health services and administer our training programs. 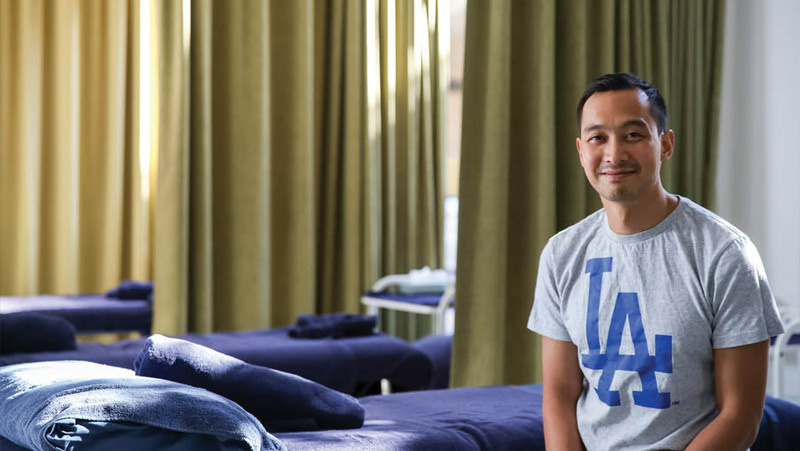 In the long term, these programs will help to fund the development of a Sustainable Social Enterprise Clinic, designed to provide long-term employment, education and provide ongoing support & mentorship to local Khmer physical therapists. If you are interested in volunteering to check out their next intake in December 8-18th. Learn more about Rotana’s company The Remedy.